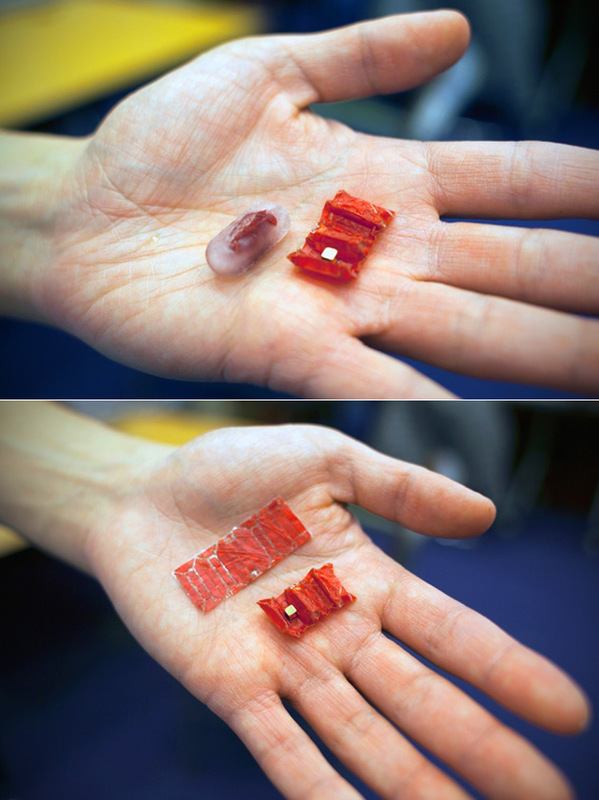 MIT researchers have developed tiny robots made from dried pig intestine that come in the form of a pill, which dissolves in stomach acid. Once ingested, it unfolds like a musical instrument, and moves around with a “stick-slip” motion, using the friction of its surroundings to propel itself forward. The robot contains a magnet that allows it to be controlled from the outside using another magnet. Continue reading for a video and more information. “It’s really exciting to see our small origami robots doing something with potential important applications to health care. For applications inside the body, we need a small, controllable, untethered robot system. It’s really difficult to control and place a robot inside the body if the robot is attached to a tether,” said Daniela Rus from MIT’s Department of Electrical Engineering and Computer Science.